Early Intervention Clearinghouse's mission is to serve the 20,000 families in Illinois who have infants and toddlers enrolled in early intervention (EI) services. They are a resource for you—we’re only a phone call or email away. They have a library of videos, books, manuals, and journals related to the development of young children with special needs and their families. The librarians are information specialists who can help find resources for you and your service provider. The web site links to other resources in the state and nation. A waiver is a program that provides services that allow individuals to remain in their own home or live in a community setting. Illinois has nine HCBS waivers. Each waiver is designed for individuals with similar needs and offers a different set of services. The Section of Genetics at Rush University Medical Center in Chicago, Illinois, provides a full range of services for the diagnosis, counseling and treatment of patients (infants, children, adults and pregnant women) who have or are concerned about genetic and congenital disorders. The Heart of Illinois Down Syndrome Association, Inc. is a 501(c)3 not-for-profit organization and all contributions are tax deductible. 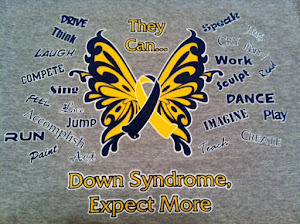 Your support will help us in our continued advocacy on behalf of individuals with Down syndrome. Heart of Illinois Down Syndrome Association, Inc. The Central Illinois Down Syndrome Organization (CIDSO) is a not-for-profit organization of families and interested persons working to increase public awareness, support families, and improve opportunities for those touched by Down syndrome. The process of acceptance begins as soon as Down syndrome is suspected. To support parents and extended family during this time, a parent outreach member will gladly make hospital or home visits. Celebrate Differences is committed to creating a place for families of children with disabilities to feel a part of a larger, accepting community. We realize parents are experiencing the feeling of being overwhelmed with emotions, worries and questions. We want families to know there is hope and resources available to help. Celebrate Differences offers a place where children, adults and families feel welcome and safe. A place where they are able to utilize their gifts and celebrate their uniqueness; where they can truly be themselves. Champaign County Down Syndrome Network is available to assist you in any way we can. By offering opportunities to network with other parents, attending conferences, having social get-togethers and holiday parties, we hope you find a venue that is comfortable for you. We have monthly newsletters as well as meetings to keep you informed of the upcoming events and latest information regarding Down syndrome. DS Support is a support group for families and friends of individuals with Down syndrome. Located in the south suburbs of Chicago, we host meetings and outings from time to time. KADSS is a group to help families that have children or family members with Down syndrome. We wanted a place where parents can talk, help and encourage each other so that we can empower our children and family members to reach their full potential. We also encourage children and other individuals with Down syndrome to come so they have a place to come and have fun and meet new people. LADSS was formed to serve the needs of those with Down syndrome in the North-East Central, Illinois. 13298 N 3400 East Rd. The Riverbend Down Syndrome Association is incorporated in Illinois as a not-for-profit corporation and a tax exempt organization under Section 501(c)(3) of the Internal Revenue Code with Employer Identification Number: 14-1982424 and a community group of the Down Syndrome Association of Greater St. Louis. We are an all volunteer group that provides support and information to parents of children with Down syndrome in Southwestern Illinois. Our aim is to support each other and enrich the lives of our children so they may reach their fullest potential to lead an independent life within the community. They inspire community acceptance by sharing with others the presence, potential and abilities of people with Down syndrome. Established in 1975, FINDS is a McHenry County, Illinois, not-for-profit volunteer organization run entirely by parents and their children with Down Syndrome. FINDS is a network of families who work together to maximize the potential of each individual person with Down Syndrome and improve the quality of their lives.